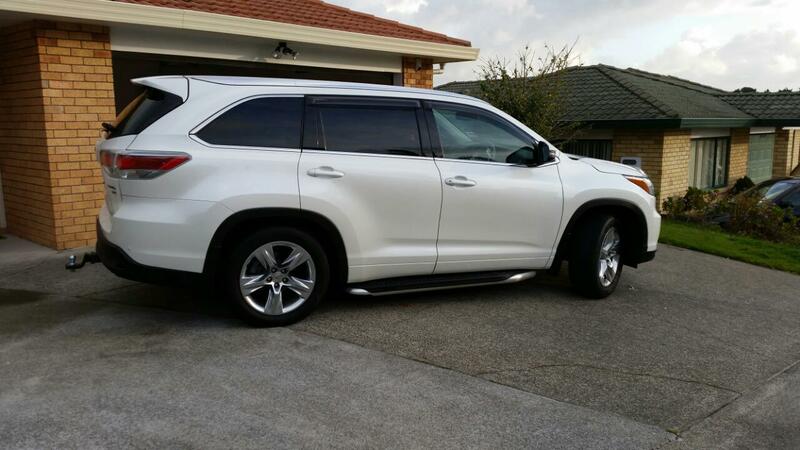 hey guys, i just got the new Kluger (highlander in NZ). this is the top of the range, Limited ZR. looking for information on how to program your key so that when i unlock car with my key; the seats and side mirrors are adjusted based on the seat being programmed previously. this is to avoid pressing the seat positions memory and having the seat preposition-ed when i unlock the car(oh well atleast in the process of it) i couldn't find much information on the owners manual. maybe i didnt look hard enough. wow, toyota NZ quoted me $868 + GST....for a mirror....!!!! unfortunately, i do not have the manual to check which fuse exactly. but, on the CC, there is a small phillips screw, opening that gave way to a small switch. it seems others have reported issues with this switch and how the copper inside it gets bent. so after a little fiddling around this, i tried the CC and i could see the light in the dash cluster turn on. closed it all backup and thought to take it for a spin to test it, but as soon as i hit the road and tried to turn it on....well nothing came out of it. it does seem like the switch is faulty.however, the switch is a very simple one, when the circuit completes,it gets on i guess. i wonder if i have blown the fuse after playing around with it. located the fuse box under the passenger dash, but not sure which is for CC. i didnt see any label that would indicate its for CC. which label would i be looking for? Cruise Control on my 2008 Aurion Presarra not working. bought it second hand, and never used it until last weekend. anyone has any ideas on where to start troubleshooting? thanks for your reply. i have purchased the headlights already so i will see how it goes. i mostly drive in the city roads so hopefully it wont be too much of an issue... if in case it is, i guess i can upgrade to better bulb? in which case, would you have any recommendations? Hi Guys, first post here. Im from NZ and its a bit hard to get information for Aurion here. i have a Grande (presara) 2008. the guy i bought it from previously seemed to have an accident at some point and replaced the Presara model lights (HID) with the at-x lights. he had some loose connection and now one of the lights has melted the housing so needs replacement for the whole thing. Toyota quoted me 998.00 for one at-x model headlight, and 1800.00 for one Presara model headlight. if a choose to go Presara i need to get both replaced that means 3600.00 plus labour cost. i found these after-market lights and wonder how much work would i need to get them installed. http://www.ebay.com.au/itm/DRL-CCFL-Angel-Eyes-Projector-Head-Light-TOYOTA-AURION-/130498726156 they are really expensive but way cheaper than what Toyota quoted me. i see a lot of helpful topics here and hoping to get some good advice on the items i am about to buy. it would be a pain if i get it to NZ and they dont fit properly or i find out that i need something additional to get them working.